Preparing for retirement can be a daunting task, so it helps to know what financial gurus — the best financial advisors — are saying about it. Here is retirement planning advice from 10 of the best known experts. Suze Orman suggests that at least part of the decision about when to retire should be based on the emotional: how you define yourself beyond your job or career. Once you have the answer to that question, including how you’ll fill your days, you can move on to the financial aspects of the retirement decision. Dave Ramsey gives his financial advice in terms of baby steps, and investing for retirement comes only after you’ve satisfied the baby steps of paying off all debt but your mortgage and having three to six months of expenses in savings. At that point, he recommends using your freed-up cash flow to save for retirement at a rate of 15% of household income. According to Jean Chatzky, retirement is not the time to vacate the stock market for safer investments. 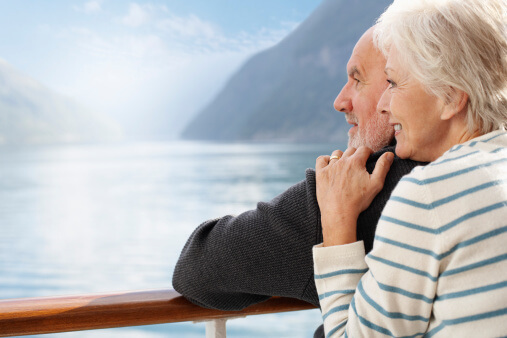 Since most of us will be living a significant amount of time after we retire, we need the higher returns that the stock market offers for our money to last as long as we do. Her recommendation is to subtract your age from 100 and keep that percentage amount in stocks. There are too many unknowns in retirement planning to look at your savings as a static number, says Robert Kiyosaki. Instead, invest in assets that create an income, like rental real estate, dividend-paying stocks, and royalties. Investing a lot of your retirement money in the stock of the company you work for can be a bad idea, says Jim Cramer. Not only does that create a portfolio that isn’t very diverse, if the company hits hard times, both your job and your investments could be at risk at the same time. His suggestion? No more than one fifth of your retirement cash should be invested in the stock of your employer. Just choosing where to invest your retirement money is complicated enough, says Clark Howard. Keeping it invested the right way year after year adds another layer of confusion. That’s why he recommends retirement funds targeted to the year you plan to retire to do the work for you. David Bach believes that retirement investments should be conservative and boring. To him, that means fully funding retirement accounts, investing them systematically, and using a three-pronged savings approach for retirement, dreams, and security. Ric Edelman advises using reverse engineering to plan for retirement. What that means is first deciding how much income you’ll need to live on each year. Next, look at the various sources of income you’ll have in retirement (social security, pension, inheritances, and employment income), and you’ll be able to calculate how much you need to save and the rate of return you need to earn to reach your goals. Jack Bogle thinks the average retirement investor would be well advised to focus on fees, since they can eat up over 50% of earnings on investments over the long haul. His advice is to invest in funds with expense ratios of no more than 3/4 to 1 percent for stocks and 1/2 to 1 percent for bonds. If you’re wondering how Warren Buffett would invest for retirement if he weren’t, say, Warren Buffett, look no further than the plans he has laid out for his wife after he’s gone. He’s instructed her trustee to invest 90 percent in an S&P 500 Index Fund and 10 percent in short government bonds. He feels the index fund will keep her money diversified but invested well, while the bonds will protect her against a big market downturn. Which Advice is Right for You? That is a lot of advice — advice that sometimes contradicts itself! How in the world do you do all of that? Personal finance and retirement planning can be overwhelming and confusing. One of the best ways to plan your financial future is to make sure your plan is personalized to you. Working with a financial advisor can be incredibly useful. Though using an online retirement calculator can also be a powerful tool for getting motivated and creating, updating and maintaining a real retirement plan. Julie Mayfield is a blogger specializing in personal finance and lifestyle topics. She is the creator of The Family CEO, a blog about money and the business of life.